Research Group: Physics Education and History of Science. Physics Department, Institute of Physics. University of Oldenburg. On February 28, 1928, C V Raman (Fig 1) and his associates found that when monochromatic light is scattered by liquids and gases; the scattered light contains not only the original frequencies; but also higher and lower frequencies that of the incident light. Today, this effect is known as the Raman Effect, after the name of its discoverer. 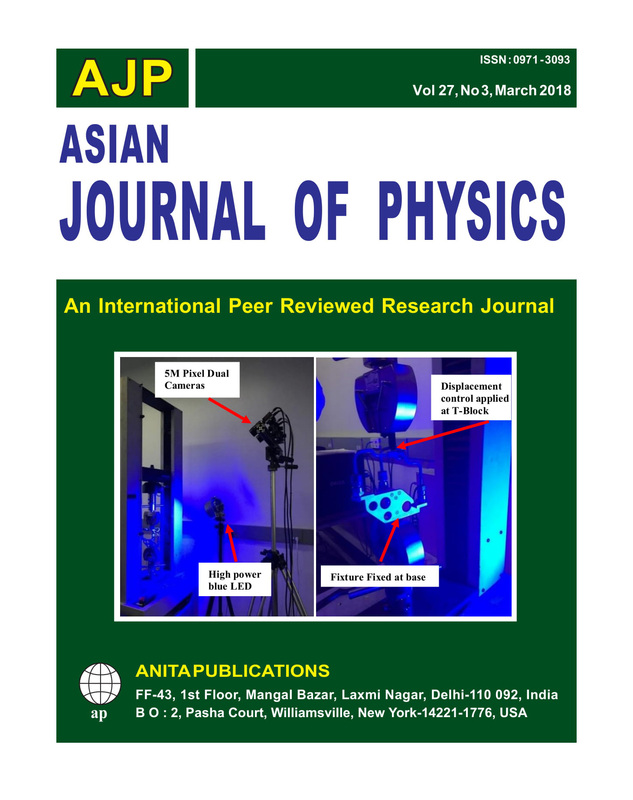 The details of the discovery are given in a recent article Published in Asian J Phys . Nearly at the same time, Russian physicists G S Landsberg and L I Mandelstam (Fig 2) observed the same effect in crystals . However, already, in 1925, such an effect was theoretically predicted by A. Smekal1; and H. Kramers and W. Heisenberg.2 Not surprisingly, Russians nominators claimed for the Physics Nobel Prize (detail later). In the present communication, we shall see: Why the Nobel Committee decided Nobel Prize in Raman’s favour ? One of the most intriguing laws in science must be the second law of thermodynamics. However, all laws were created to modify or to break and the second law cannot be the exception. In which we see that the second law’s isolated system has to be a subsystem within our temporal universe. Since any evolution of our universe has a profound effect on her subspaces, there is a connection on the entropy changes within the second law’s isolated system. And this is my aim of rewriting this law, so that it will be more precisely stated as treated the isolated system a subspace within our temporal universe. In addition to it, a profound relationship between second law and information is given, in which we show that entropy and information can be traded. Without this relationship, information would be difficult to apply in science. This is primarily due to the fact that, entropy is a well accepted quantity in science. We have also shown that, a low-entropy subspace can be used as a ne-entropy source to provide information. In which we see that work done, energy and entropy are all connected with information. © Anita Publications. All rights reserved. Key words: Second law, Entropy, Ne-entropy, Energy degradation, Information, Temporal Universe. A V-engine high pressure fuel pipe have experienced several failures during Dyno high speed engine validations at brazed joints primarily due to dynamic engine vibration loads. The braze fillet experiences high local stress concentration with large gradients and it was critical to test strain and contour at this joint to properly understand the failure and propose solutions. Strain gauges was used initially to measure strain but was incapable of capturing the braze fillet due to the small fillet radius and lack of real estate to install the gauge (braze fillet radius ~ 0.10 mm which is the order of magnitude smaller than smallest strain gauge). The closest strain gauge was installed about 3 mm away from braze joint and was unable to capture the steep stress gradients at braze joint and full field test. A whole field optical experiment method Digital Image Correlation (DIC) was utilized to successfully test strain and contour at area of interest and results fed back to validate Finite Element Analysis (FEA) and optimize design. In this paper, a process combining experimental testing and theoretical simulation have been developed to measure and analyze the strain at braze fillets and a new design was optimized to reduce stresses significantly at braze joints. The experimental and simulation results matched very well and validated the FEA model which was used to run many analytical iterations and optimize a new design utilizing tuned mass damper (TMD). The new design reduced dynamic stress by ~ 63% and resolved the braze failure issue. The detailed experimental and simulation procedures are demonstrated, and the results are also analyzed and correlated.© Anita Publications. All rights reserved. The literature review is aimed to explore the observed diversity in structural, linear-nonlinear optical and thermal properties of semiorganic nonlinear optical crystals of potassium-, zinc-, cadmium-, strontium-, calcium-, lead-, magnesium-, nickel-, bismuth-, silver-, cobalt- and lead-metal complexes of thiourea.The uncommon ability to acquire different shapes orienting with unique space group has been scrutinized to investigate large structural diversity in thiourea metal complex (TMC) crystals. The added advantage of high optical transmittance, low cut-off wavelength and active operative wavelength range of thiourea metal complex crystals in UV-visible region has been comparatively overviewed. The key factors responsible for high second harmonic generation (SHG) efficiency in thiourea metal complex crystals have been enlightened and the SHG response of each crystal has been quoted to enable the quick selectivity of material for nonlinear optical applications. Laser assisted devices demand thermally stable crystals and therefore the high thermal stability facilitated by metals coordinated in thiourea metal complex crystals has been relatively discussed. © Anita Publications. All rights reserved. Keywords: Thiourea metal complex crystals, Optical properties, Second harmonic generation, Low cut-off wavelength.